At this point, you’ve probably already realized that unconventional engagement rings are more popular than ever before. From unique modern ring settings to alternative diamond shapes, it’s clear that the trend isn’t slowing down any time soon. 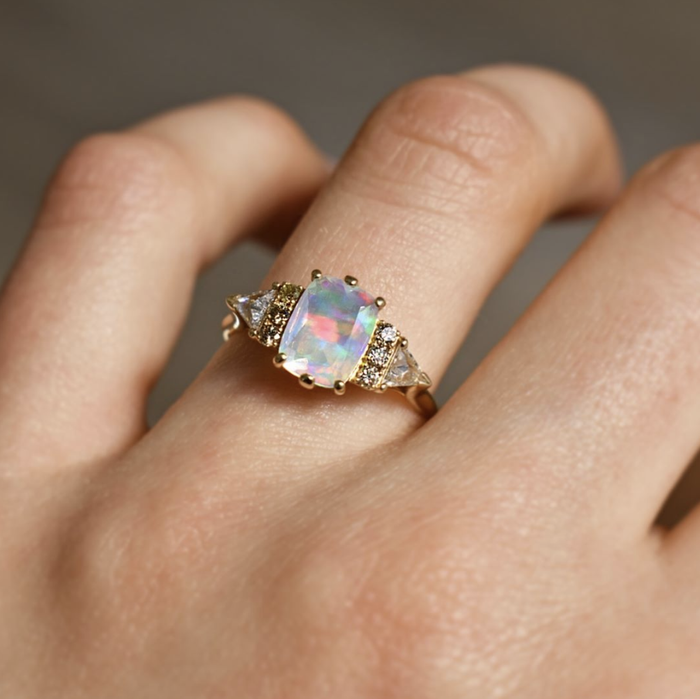 Whether you’re expecting to be engaged soon or not, if you’re the type of woman who loves the truly unconventional, consider an opal engagement ring. 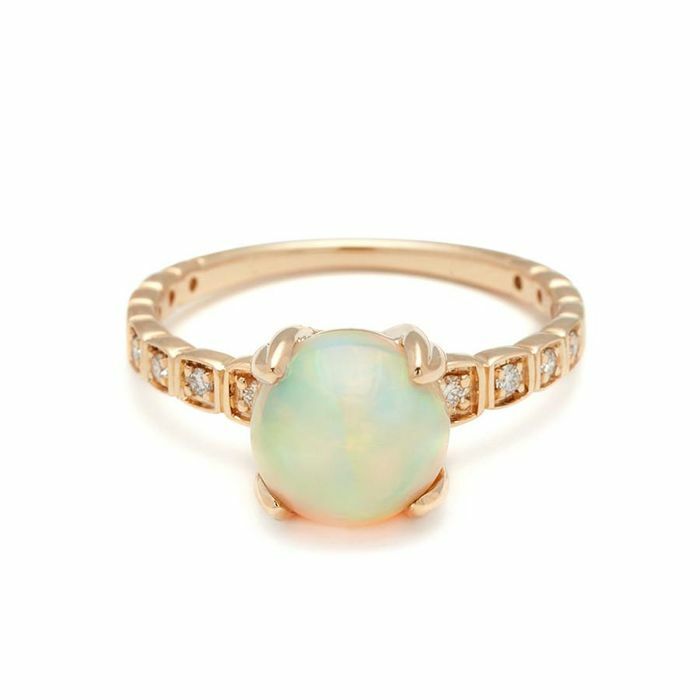 Among all of the gemstones to choose from for your potential engagement ring, an opal—with its celestial vibes and iridescent sheen—will feel truly magical. Sitting next to smaller diamonds to enhance its luminance, or standing out on its own, it’s safe to say your opal engagement ring will be hard to ignore. Ready to look at beautiful nontraditional engagement rings? We pulled together our favorites on the market that are so mesmerizing you’ll want to send a hint to your S.O. the moment you see them. This ring feels like a magic orb. This ring is undeniably stunning. We can’t get over this unique cluster. We love the texture of this beautiful pear-shaped ring. Nothing says “I do” like a heart-shaped ring. We love the delicate accents of this ring. We just can’t get over the sunburst setting around the opal on this ring. If you prefer a band over a center stone, you’ll obsess over this ring. The design of this ring is so dainty and sweet. This ring will be a conversation starter, without a doubt. For the minimalist bride who loves to be unconventional. This shield ring—which opens up to reveal a small diamond—is the definition of unexpected. You won’t be able to stop staring at your finger when you’re wearing this. Let the smaller diamonds dance along your finger. We love how the halo floats around the opal on this ring. Because who could ever get over an antique ring? And now, here’s exactly how to choose the perfect wedding band.